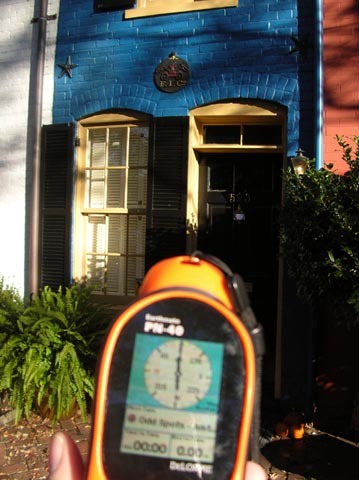 The Spite House, 7 feet wide, about 25 feet deep and a whopping 325 square feet in two stories, is a tiny landmark on Queen Street in the Old Town district in Alexandria, Va., just across the Potomac from Washington. 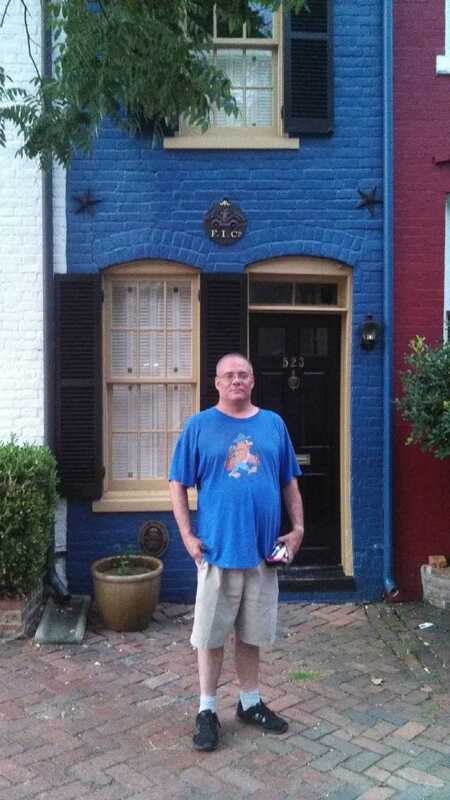 It’s called the Spite House by some because John Hollensbury, the owner of one of the adjacent houses, built it in 1830 to keep horse-drawn wagons and loiterers out of his alley. Indeed, the brick walls of the living room have gouges from wagon-wheel hubs. On the front of the house you can see the cast-iron fire shield which signifies that a 19th-century owner paid the local fire company to ensure that it would respond if the house caught fire. Ripley’s Believe It or Not! 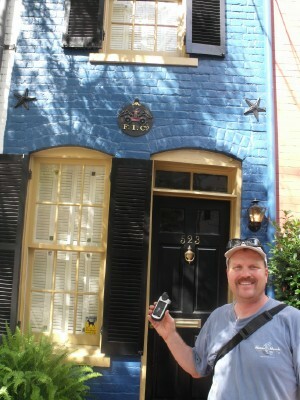 named it the narrowest house in America. Plenty of parking along the street. And while the house is privately owned, the sidewalk in front is public property. And the owners have reported in many interviews they don't mind people taking pictures by their place. 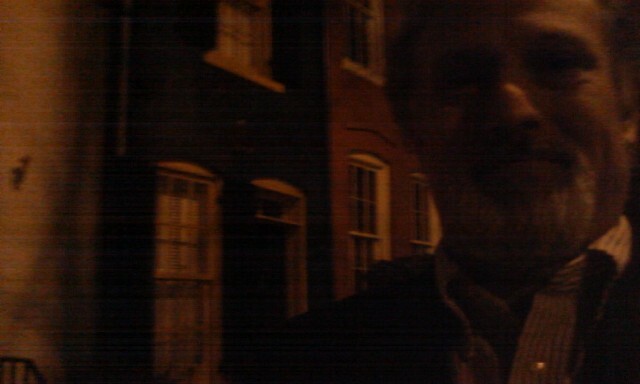 1) Please post a photo of yourself and/or GPS with the house in the background. 2) The Log Password is the six character Historic Alexandria Foundation Registration # of the white house to the left of the Spite house, with no dashes and no spaces. The format is two numbers, a letter (capitalization is important) and finally three numbers. For example, if the reg# was 12-A-345, you would enter 12A345. Yup, still there despite not being "found" in over 3 years. Actually didn't seem too far out of place (I walked almost 1/2 mile to get there), and saw several that couldn't have been more than 12 feet wide. I have a pic that I will upload with me in front of it which I will do later, as I'm logging on vacation. Great virtual, thanks! On the way home to Fredericksburg from Maryland and thought we should have at least a few OCUS finds to go along with our two recent hides. Thanks for letting us know about this truly odd spot! Quick walk from my previous stop at Old Town Tour #5. Thanks for bringing us to this interesting location.